The actual use of electronic devices straight out of the box has become much easier than it used to be. Most of the time, items just come with one or two cables that are pretty clearly plugged into certain places, and then the actual operation of those items is pretty straightforward. The flashing 12:00 on a VCR or the mystery of how to set one to record a particular program are things of the past. Don’t get me wrong, such advances in usability are a very good thing. The ease of use of technology has moved my mother from pretty much avoiding all technology to posting on Facebook and Twitter and using several devices around her home. It’s turned unpackaging an electronic item from something confusing and appropriate only for technophiles into something everyone can enjoy. Many newer devices have moved away from even including a manual in the box, often just including a diagram for basic setup and a URL for the full manual online. 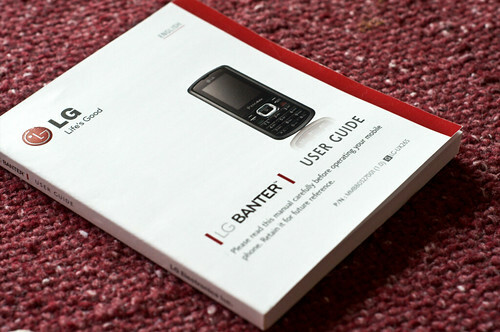 Of course, the ease of use of technology means that the user manual often gets tossed aside and never read. Who needs to read it if the basic use of the item is so incredibly easy? The truth is that most manuals include at least a few nuggets of really useful information that are well worth knowing. Here are a few valuable things you can get out of a product manual. Proper rechargeable battery use This is a key one. Should you use the item until the battery runs out and give it a full recharge? Or should you leave it on the charger as much as possible? For example, rechargeable alkaline batteries can last for a really long time but don’t hold up to lots of recharges, which means that you should use the battery until it’s completely drained before recharging. On the other hand, NiMH batteries will lose their juice just by sitting around but they stand up to lots of charges, so you should charge them often, even if they’re not completely empty. The proper choice depends entirely on the type of battery inside of the unit, and doing it the right way will extend the life of your battery as well as having a device be without charge unexpectedly. Looking up just this minor fact and then following it will save you on a battery replacement and possibly a full product replacement. Setting information A friend of mine bought a plasma television a few years ago after admiring the beautiful screen in the store. He took it home, set it up, turned it on, and found that the screen just wasn’t as bright and vibrant. He played with a few settings, but he was not happy with it. He complained a lot about it to various people. I asked him about the model, then looked it up online. It turned out that there were a lot of extra settings hidden deep in the menus, settings that apparently drastically changed the brightness of the screen. I informed him of these settings and shortly thereafter he was thrilled with his television. If a device isn’t working exactly like you expect, read the manual. It might actually work that way. Unexpected features Most modern electronic devices have lots of minor features that you don’t initially notice. They’re often tucked away on menus that you don’t look at initially. A perfect example of this is the fact that new iPods can let the user listen in mono (which means the same exact audio comes out of both headphone speakers). This was a revelation for me since I am deaf in one ear. Without a “mono” mode, I would usually either miss out on most of the instrumentation or the vocal track unless I used a special adapter (one that seemed to often break). Don’t skip the manual. You’ll often find all kinds of things you didn’t know about, many of which are useful and some of which save you money.